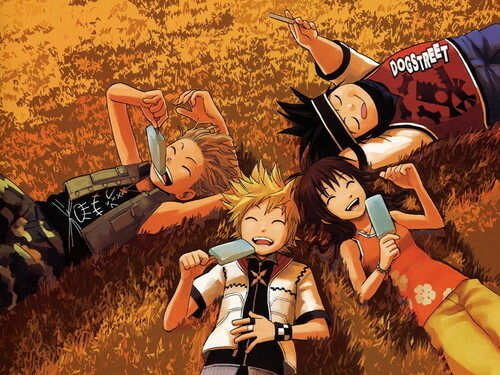 Roxas, Hayner, Pence, & Olette. A delusion is not much different than a dream. When tu wake from it, the memories will be all tu have left, but they will soon fade. Do not loose yourself to a fantasía world. True happiness can never come out of it, even if the pain stays real.. HD Wallpaper and background images in the kingdom hearts club tagged: kingdom hearts roxas hayner pence olette. A delusion is not much different than a dream. When tu wake from it, the memories will be all tu have left, but they will soon fade. Do not loose yourself to a fantasía world. True happiness can never come out of it, even if the pain stays real.